Our Beloved Cora Mae Aiken transitioned from this earthy life to take her rest on September 14, 2018. 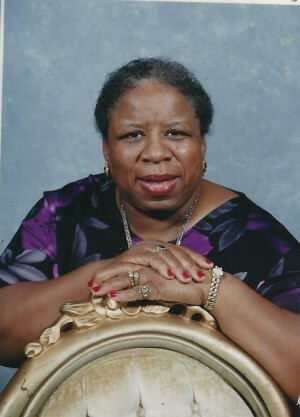 Cora leaves behind endless memories to her children; Darrell (Angelee) Raymond Aiken, Joyce Marie Jones, Dianne Rena(Christopher) Green, Tavora Lynette Aiken and Yolando Elizabeth Aiken, siblings; Georgia Anne Segar, Julius Davis and a host of sorrowing family and friends. Public Viewing will be held on Thursday, September 20 , 2018 from 5:00 p.m. until 7:00 p.m. in the Edith S. Brown Memorial Room of Stiney's Funeral Home. All Relatives and friends are invited to attend her Celebration Of Life on Friday, September 21 ,2018 at 1:00 p.m. at the St. Stephen AME Church, 710 Main Street, Hardeeville, SC. Interment State Cemetery Hardeeville, South Carolina. Final Care and Services with Distinction, Dependability and Dignity provided to the Aiken and connected families by Stiney’s Funeral Home. Edith S. Brown Memorial Room of Stiney's Funeral Home.